Richard Lindsay Batten (1920-1974) was a British orthopaedic surgeon who established the first blood bank in Nigeria, and advocated effectively for motorcycle helmets in the UK. He had myotonic dystrophy, a progressive form of muscular dystrophy that affected him more in his later life. Quentin Crewe (1926-1998) was an English travel writer and restaurant critic whose New York Times obituary carried the remarkable headline "Quentin Crewe, 72, Bon Vivant Who Was Unfazed by Disability", with the further explanation that he had "not so much suffered from, as gloried in" his muscular dystrophy. He traveled in his customized wheelchair -- including two years crossing the Sahara, and two years living in Kyoto -- and wrote his books by typing one-handed. He wrote a gossipy memoir, Well, I Forget the Rest: The Autobiography of an Optimist (1991), of his adventures. Alfredo "Dino" Ferrari (1932-1956), yes, from that Ferrari family. 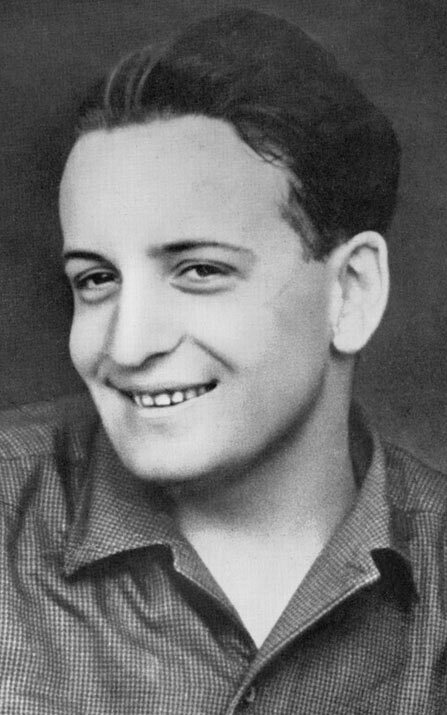 Alfredo was the son of company founder Enzo Ferrari, and an automotive engineer too, before he died at 24, from complications of his Duchenne muscular dystrophy. The "Dino" car series was named in his honor. There's also a Formula One racing venue named for him and for his father. Sister Mary Louise St. John (1943-2003) was an American Catholic gay rights activist and a Benedictine nun who used a wheelchair from her youth. She studied world literature and psychology at Skidmore College before entering her religious order. At a conference in 1989, she declared, 'To alienate my lesbian identity from the identity of the Godness within me would be to dismember myself.'' At the same event, she spoke about the challenge of claiming her sexuality as a wheelchair user. She was cofounder of the Womynspace coffeehouse in Erie, and spoke at that city's first gay rights rally in 1998. Sister Mary Louise served as a business manager, tutor, and retreat guide at her motherhouse. She was also on the board of the local Community Resources for Independence. Here's her obituary in the Erie Gay News, with a small blurry photo of her using a power wheelchair.